Not your grandma's polka dot plant! 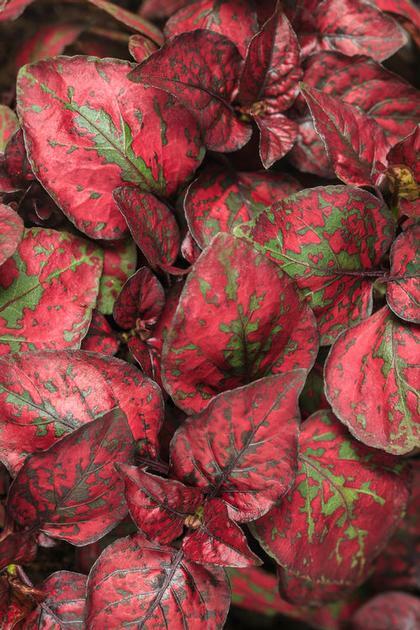 Larger and more vigorous than generic hypoestes with brighter foliage. Green foliage is heavily mottled with bright red markings. Adaptable to sun, shade, outside or inside, this low maintenance plant will provide exotic color to mixed containers.